but I'm gonna love you anyhow." This under-appreciated Midwest Magi was wickedly skilled in the fine art of song construction. 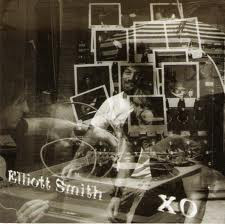 Elliot Smith had a Brian Wilson ear for arrangements and a fearless John Lennon heart for exposing his wounds. With a gentle voice, Smith delivered lyrics that were both precise and personal...and yet floated over melodies that were disarmingly catchy and achingly beautiful. And we trust taking the journey into the darker places...because Elliott used words like...Rushlight candles. 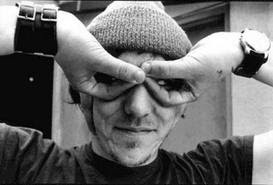 Elliott Smith was a tortured soul with a complex box of musical bandages...who tried, but just couldn't stop the bleeding. Lost Gem:--> "Waltz #2 (XO)"...starts with a lone "boom-chick-chick-boom" drum beat that is quickly joined by a cheerless acoustic guitar. And as ear-worm beautiful, the melody...it is a heartbreaking song. Not about his favorite girl marrying someone else. But about seeing his mother withdraw into a shell as a result of a bad second marriage to an abusive man. That's the man she's married to now. That's the girl that he takes around town. She shows no emotion at all. Stares into space like a dead china doll. I'm never gonna know you now but I'm gonna love you anyhow. 'Cause I'm doing just fine hour to hour, note to note. Here it is, the revenge to the tune. Can't you tell that it's well understood? I'm here today, expect it to stay on, and on, and on. It's OK, it's alright, nothing's wrong. To just leave me alone. In the place where I make no mistakes. In the place where I have what it takes. Smokin' jazz great...John Handy......and his bumblebee alto sax has been melting wax as leader or sideman for nearly 50 years. And will forever be recognized for giving us one of the great jazz albums..."Live at the Monterey Jazz Festival" (1965). This was an incredible must-own burner with a quintet led by Handy and made up of brilliant, hungry newcomers..including Wichita's very own guitarist...Jerry Hahn. 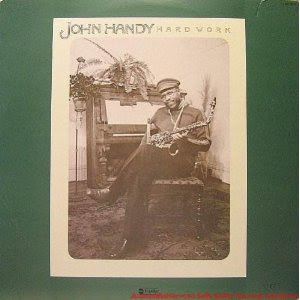 Handy took the reins again on "Hard Work" (1976)...a tasty offering of jazz with a surprising R&B flavor. And though the album was a little hit-or-miss for jazz purists...trust your own ears. There's good stuff to be found. Lost Radio Gem: "Hard Work" (#43 BB Charts)...a smoldering jazz-funker. 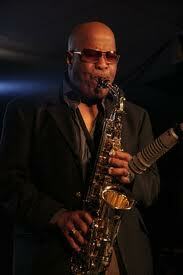 John Handy's sax-blow is epic sick...burning with blue collar matches. Once heard, hard (work) to forget.